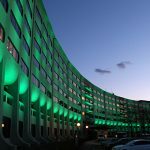 Penn State Milton S. Hershey Medical Center continued a trend of strong financial performance, with a fiscal year highlighted by clinical growth and innovative approaches to education, research, and patient care challenges spurred by a health care industry undergoing rapid transformation. 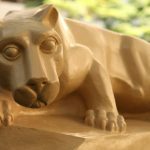 Penn State College of Medicine has been awarded $1.8 million in research funding from the Patient-Centered Outcomes Research Institute (PCORI). Aetna (NYSE: Î‘ET) announced today that Dr. Harold L. Paz will join Aetna later this month as executive vice president and chief medical officer (EVP/CMO). 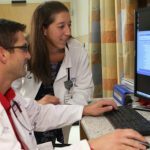 The 30 students in Penn State College of Medicine&apos;s new Physician Assistant (PA) Program have begun their studies. The Medical Minute: What is a physician assistant? 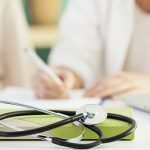 One of the changes taking place at many doctor&apos;s offices, due in part to adoption of the Affordable Care Act (ACA), is a trend toward “team-based care,” a model that incorporates advanced care professionals in addition to physicians. Click to view article: The Medical Minute: What is a physician assistant? 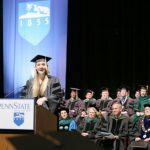 Penn State College of Medicine held its 44th annual commencement ceremony on Sunday, May 18. In all, 133 medical students and 68 graduate students received degrees. As the need for skilled clinicians grows in the nation&apos;s health care system, Penn State College of Medicine prepares to welcome the inaugural class of a new Physician Assistant (PA) program this spring. The University Park Regional Campus of Penn State College of Medicine has reached a milestone on its mission to help address a shortage of primary care physicians serving central Pennsylvania. Penn State College of Medicine has named Donald L. Gill, Ph.D., its new chair of the Department of Cellular and Molecular Physiology, effective January 1. 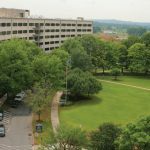 Virginia Commonwealth University and The Pennsylvania State University/Penn State Milton S. Hershey Medical Center have announced plans to work closely together on health research.